Herbert Inglehart, B Nov 28, 1866. D 1959. 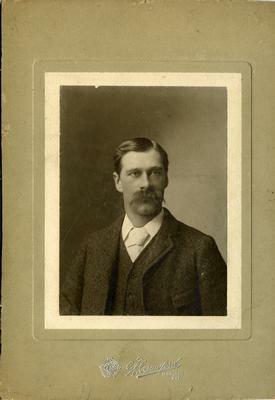 Oldest son of William Cyrus Inglehart and Eleanor McLaren. He married Margaret Elvira Coverdale Apr. 10, 1900. He was born November 28, 1866,Palermo, Halton Co. Ontario, died September 03, 1959, St. Joseph's Hospital, Guelph, Ontario. He was always very proud of the fact that he was "a year older than Canada." Lovina Rose, September 16,1874 - April 27,1954. Herbert Inglehart - 1864 (sic) -1959. Daughter Jean E. Inglehart, 1901 - 1958, daughter E. Marion (Hicks) Durrant 1907 - 1992". Buried in Palermo United, Trafalgar Township, Nelson County. 15 grandchildren and 16 great-grandchildren. -from the Globe - Friday, January 28, 1890, page 07 News.. Herbert Inglehart was a delegate when the Liberals elected their candidate. Herbert Inglehart, B Nov 28, 1866. D 1959.